The secret’s been out for a while: weed is one of the best medicines out there. And senior citizens aren’t missing out on the medical marijuana trend. Plenty of seniors medicate with herb. In fact, the population has seen an increase of 333% of medical pot users aged 65 and over. Clearly, seniors see positive results from using medical weed. In fact, almost 100 percent of seniors benefit from medical marijuana. For the senior population, the long list of positives in treating with weed keeps growing. Its pain relief potential appeals to many seniors, and it has little to no side effects. Unlike programs using opioid medications, medical marijuana is a non-addictive option for treating the issues faced with age. Whether it’s injury, illness or cancer, weed puts that pep back into an aging step. With many ways to treat, pot helps with the wear and tear of aging as well as any pains that come with it. Still in some areas of the US, getting medical pot can be a burden for some seniors. But just on the other side of the border, Canada gives grandma and grandpa ways to treat with ganja. Yet in the US—even in states like Colorado—seniors face obstacles to treat with medical weed. Health facilities such as assisted-living complexes may have rules restricting marijuana use, even if for medical purposes. And these limitations do more than just harsh seniors’ good vibes. Unable to treat with pot in their own homes, these residents must consider moving or using other, potentially addictive, treatments. So it’s clear seniors use pot for their health. But how much do seniors benefit from medical marijuana? 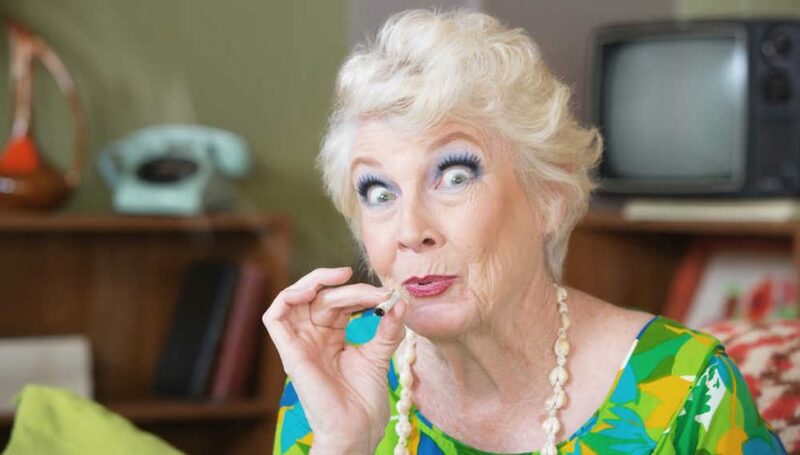 A recent study done by the National Institute of Health looked at weed use in seniors. All those involved started medical weed treatment at the beginning of the study. These patients needed treatment for issues like chronic pain or cancer. They underwent six months of treatment with cannabis. Not surprisingly both the patients and the success rates saw highs. For these patients at the start of the study, reports of pain hit a high median of 8 on a pain scale of 0-10. But after medical marijuana? That pain melted to an easier 4 on that same scale for these patients. If that’s not enough to show pot’s power, this same population also saw less opioid use. After six months with cannabis, 18.1% stopped using opioids or reduced their dose. Still not high enough on these facts and figures? Have another hit. This same study finds nearly every senior stated they felt improvements and less pain with medical weed. That’s a total of 93.7 percent! Yeah, that’s right. Almost 100 percent of seniors benefit from medical marijuana. So hand granny the ganja. Give gramps the green. It might be the miracle medicine they’re looking for.